Baby is the size of a(n): mango.. or according to the Ovia app, a game boy. 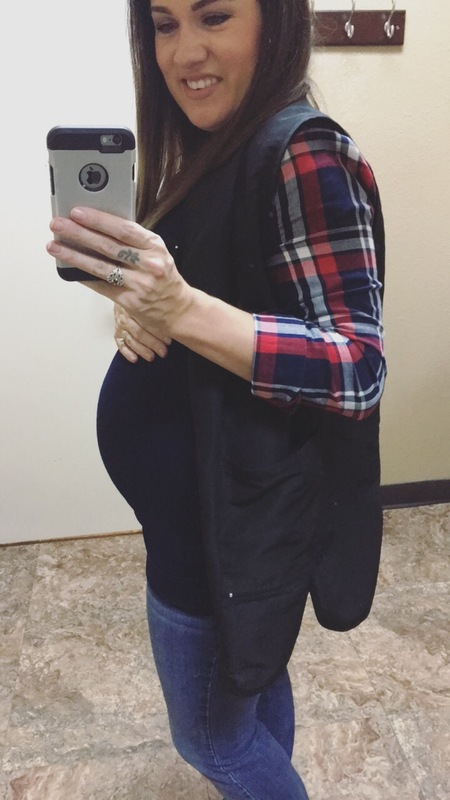 Weight Gain: I could have sworn I wrote it down somewhere but cannot for the life of me find where but I think they said I was up to 10 lbs at my 16 week appt. I’ll try to come back and update this after next weeks appointment. I also have my anatomy scan next week and will probably do a post with ultrasound pictures if possible. Last ultrasound, baby boy had his hands all over his face so the pictures are a little weird. 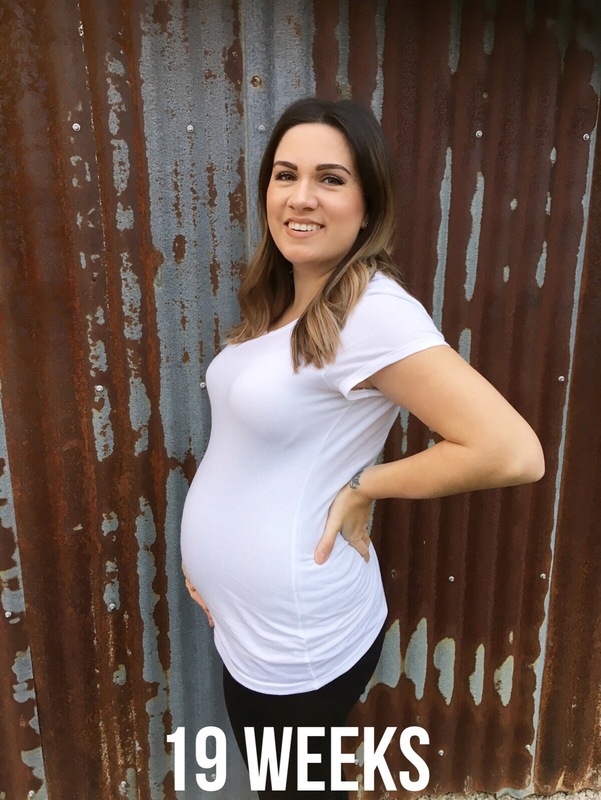 *update – I’ve gained 17 lbs at 20 weeks. Pretty decent! 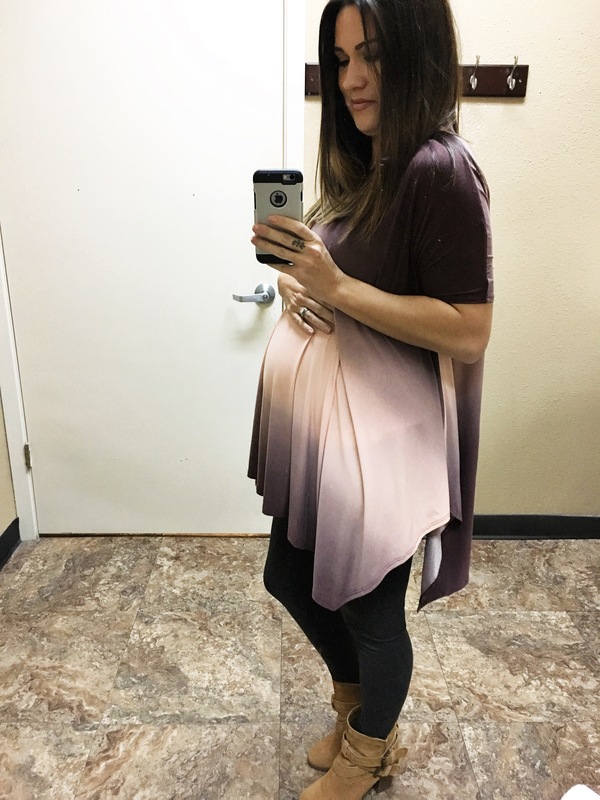 Maternity Clothes: Haven’t bought anything new that is actually maternity but I’ve bought a few items that are loose and flowy that I’ll wear after baby as well. Have my eye on some Blanqi support leggings or tank right now too. Sleep: It’s really hit or miss. I either sleep really hard and really well or just completely terrible. I got a pregnancy pillow for Christmas and it has been uhh-mazing. Best Moment The Last Few Weeks: finding out we’re having a baby boy! I can’t believe we are so blessed to get to have one of each. Also, seeing our sweet Whitlee’s face Christmas morning. Miss Anything: Nothing really! Maybe getting a good nights sleep. Movement: Still fluttering around in there. I’ve felt an actual light thump a time or two but nothing major yet. Sometimes I feel an odd thing like he kicks my bladder but I’m not sure if it’s my imagination. Also, I might be misremembering being pregnant with Whitlee but it seems like he is a lot less active than her. Cravings/Aversions: I’ve decided this little boy must like “man food”. I’ve wanted steak and burgers and like home cooked meat and potato type meals. I’m usually a big snacker and haven’t been snacking near as much. I just want “real” food. Symptoms: I’ve been having a lot of round ligament pain. So much that I have to be careful when rolling over, sneezing, coughing, bending, etc. I asked my nurse practitioner about it and she said it’s because it’s a second pregnancy and everything is already a little looser and not holding everything in as tight. Also Braxton Hicks have started up again. 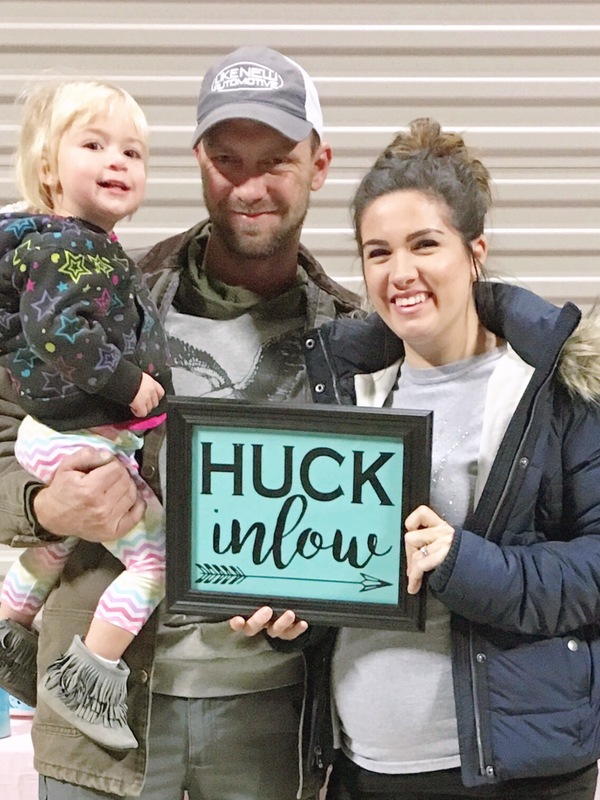 Additional Notes: I mentioned last post that we had a name picked either way, and in case you missed the reveal post – his name is Huck Inlow! I’d originally said my husband and I were going to find out the gender with everyone else but we actually couldn’t stand it and found out the day of. He convinced me to open the envelope early and I’m really glad we did. I feel like our reactions were more genuine than if we’d been in front of everyone. We (ahem, hormone city over here) were really emotional about it. I started crying out of pure happiness and kept saying oh my God, it’s a boy, it’s a boy! We’re all so excited and feel so blessed. 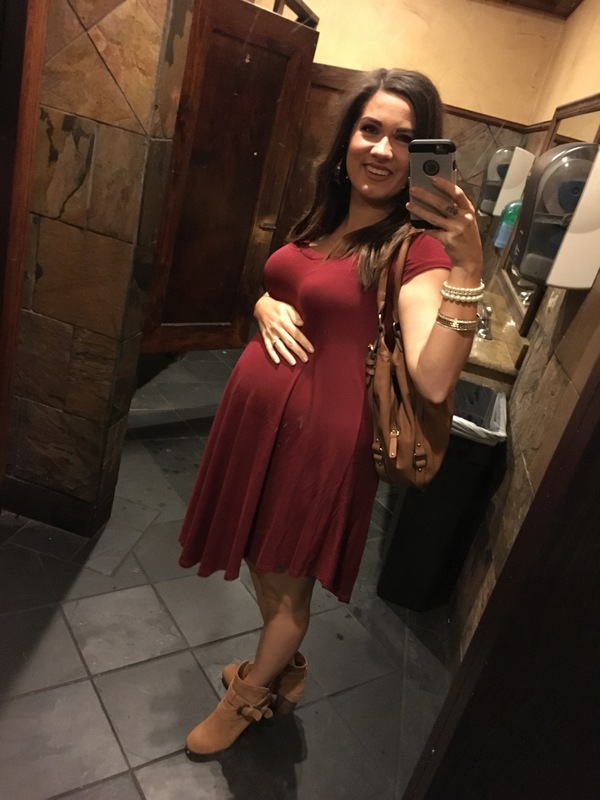 Few more bump pics for fun! We found out that the weather forecast here in Texas for this weekend was probably the worst weather we’ve had all year, intensely cold and thunder storming, so we moved the gender reveal up to this evening! We shined all of the headlights out on our little box of tannerite and colored chalk, and Nolan shot it with a rifle. It was supposed to explode into this amazing cloud of blue or pink chalk. So they yell “fire in the hole!”….anddddd…. nothing happened. 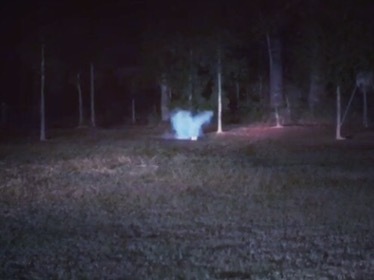 I wish I could show y’all a super awesome video but since we moved it up so quickly, it was a little hectic and then we had a faulty batch of tannerite, so it wasn’t that super impressive of a display. But everyone got the idea and we are all so excited!! The video of our little puff of blue is on my Instagram if you care to see it. Oh and our baby boy’s name!